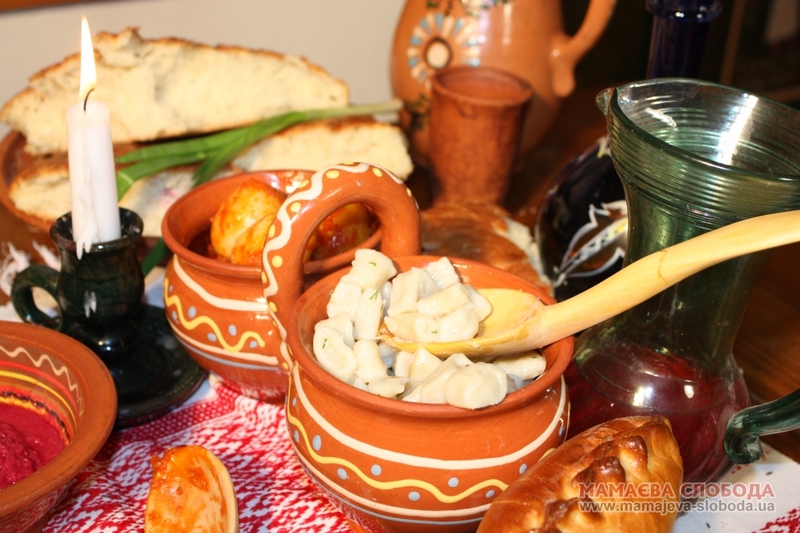 Buckweat galushky (dumplings with garlic) | Шинок "Коса над Чаркою"
As well as dumplings are considered to be purely Ukrainian national dish. Many of the Cossacks having a special affection for this dish had the nickname ‘Galushka’ or ‘dumpling’. Cossacks being known for their asceticism considered ‘galushky’ as delicacy, dainties. They sifted flour, poured egg, added salt and gently stirred with a wooden spoon or ‘kopystkoiy’ slowly pouring water, meanwhile. They carefully stirred, covered with a napkin and gave it brew. Then again carefully stirred, took a piece of dough between their hands, shaped a ball and rolled ‘valochok’ thick as a thumb. They pinched a small pieces and boiled in salted boiling water.